I am a huge supporter of coupons and could not and would not shop without them. However, as I strive for a simple, well-balanced, full life I have to wonder if my couponing has become more of a hindrance than a help. Anyone else with me? I think it's great that many are jumping in on the coupon thing but the truth is the more people who use coupons means the harder it is to get that deal. It could just be my area but it's kinda 50/50 as to if that item will be in the store or not. Gas is just too high to go shopping for things that may be gone already. While I don't intend to make this a deal finding blog (because there are so many good ones already like Motherhood on aDime or Money Saving Mom or Common Sense with Money) I do think money and the saving of it and being frugal does come in to play while striving for a simple life. It's difficult to fully enjoy life when you have a bunch of debt hanging over your head and you have to cut debt down by being frugal. My husband and I have finally begun to figure that out and are starting our path to being debt-free! Coupons are an excellent way to do that but let's face it.... they take time and energy and more than I have to spend most days! I still love coupons but I don't beat myself up over not having clipped them and organized them for a month like I used to! So what's a gal to do if she wants to cut her grocery costs without all the coupon stress? 1. Make a list of prices. -Now I must be honest I am just not diligent enough to keep a master list of ALL the prices at every store but some, my sister included, swear by it. -The purpose is so you know what the rock bottom price on an item is. If you pay attention, over time you will get an idea for what the best price is for something. -If anything, either write down or memorize at least the items you purchase often. For example,I will never pay more than $1 for a box of cereal, 17 cents per diaper or more than the equivalent of $1 per 4 roll pckg of toilet paper. 2. Find out your stores' cycle for marking down meats and veggies. -Oh how I love those Manger Special stickers! -This will vary from store to store but typically they will mark down these items on Thursday (making room for weekend business) and then on Sunday or Monday (whatever doesn't sell over the weekend). -Be smart, just because it's marked down doesn't mean it's a good deal. If the original price was high to begin with then you're probably paying normal price for near expiration meat or veggies. This is where being knowledgeable on prices is important. - Again this is old news for some of you but if you're going to do anything from this list this would probably be the most important! - Freezing meals or pre-cooked meats (make sure you use fresh meat and not meat that's been previously frozen and thawed) are handy to pop in the oven on a busy day and help you avoid the drive-thru! - I have strayed a bit from this myself but it was a life saver when I was working 40+ hours a week away from home several months ago. I would cook large batches of maybe 3-5 of my families' favorite meals/ breakfasts/snacks and freeze them. I just did this every other weekend or when it was the most convenient for me so we could have an on going supply of something that was easy to pop in the oven or microwave. 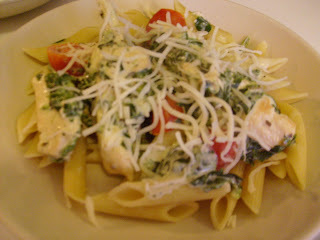 -Another great web resource is Jessica's site Life As Mom or her dedicated recipe site Good Cheap Eats . She's actually in the process of writing a cookbook featuring freezer meals (or it may be ON freezer meals, not sure). -I always go over budget when my 10 yr old or husband go with me. More eyes and more stomachs make for more money dished out at checkout! It's just a fact. -Kind of a no brainer but we all need the reminder! I like to have a granola bar or other snack in the car handy in case I need it before shopping. 7. Stock up on meats when they're at the rock bottom price and watch store sale ad cycles. -Stock up on expensive items like meat when they're at the lowest price point. -Most stores have a 3 month ad cycle. So if ground chuck is at it's lowest of $1.77lb now (it's usually the lowest in our area anyway) then buy enough if you can for 2-3 months worth and freeze it.Again,this is where having a general idea of pricing comes in handy. -Have one or two nights where you have things like a baked potato bar or a soup night so that it's not so obvious you're missing meat. -I used to shy away from discount food stores like Aldi's or Save-A-Lot because sometimes the quality didn't seem as good. But if you watch what you're buying you can get some GREAT produce deals! -If these stores have door buster deals like 39 cents for avocados or 29 cents for bananas but they don't look the best then use them in something like guacamole or use the bananas for banana bread. -Use ingredients that make meals go a long way like rice, pasta, potatoes and beans. These are generally inexpensive but really extend your meat source. We eat a lot of rice and pasta around here with these hungry boys! So I hope this helps Simplify your grocery shopping without having to kill yourself racing to the store to snag that great coupon deal before anyone else, or stay up until 3 am clipping (not that I've ever done that, hee hee). Coupons are great but with a little planning and creativity you can SAVE without all the coupon hassle! See that's why I asked for other tips! I forgot to add that price matching at places like Wal-Mart saves time! I do utilize this tip. Thanks for the rmeinder for others to see Michelle! Good reminder to watch the markdowns. 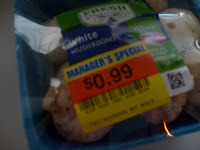 I have noticed that my Kroger removes the discounted tag for meat that is on sale that week before adding the reduced sticker. That essentially means that someone might end up only paying the regular sale price on a close to use date meat while thinking it was a bargain. I love this! Thanks so much for posting these tips. I am an avid couponer, but I don't think, by any means, that it is the only way to save money shopping. I do think that by combining couponing with several of these great tips, you can save so so much! One thing I'd like to add (learned this from Money Saving Mom) is to play the "drugstore game". By rolling your ECBs or RRs you can avoid paying for most of your toiletries which leaves more room in the budget for fresh food like meat and produce. I also love to check our local health food store for markdowns. We strive to include lots of whole foods in our diets and the health food store will mark down produce every single day...fresh organic produce bagged into clear bags for $1!! Usually I can get 2 or 3 bags to wash, chop, and add to my freezer! Here in the past week, I've added carrots, green bell peppers, red bell peppers, and yellow bell peppers all for a total of $3! That's a great post, thanks for including my link! And Laura, you are so welcome. I view your blog as a true asset in helping me simplify and love to share your blog others. Fabulous post! I too feel sometimes coupons are a hinderance. I have quit using coupons so much because I felt that I was buying things we didn't need just because it was a good deal and we were eating so much processed food. And the more people are using coupons the tighter the rules are becoming and it's making it hard to find that *great* deal. I'm glad you liked the post Becca. I wrote it because I know a lot of women are feeling like they should coupon to save money and are even getting slack from husbands since the Extreme Couponing show aired. I do still use coupons and can be save a ton on things our family needs and use like toiletries but one can go over board and make it an obsession like those some you see on the show. So that's why I wanted to share these tips to help those who don't have time to coupon and show my readers you can still be a savvy shopper :). Tahnks for the encouragement gals! Excellent reminders! I, too, have used less and less coupons as we eat more real foods. I only by health and beauty products now. And I've realized how much time that couponing was taking. Yeah for simple! My local Co-op has 25 cents per pound produce that is about to turn or not looking so good. I got a bag of apples for 50 cents because one was rotten on top, and a bag of green beans that was starting to turn because the new stuff came in. And a friend of mine (who writes at Brilliant Frugal Living) said that many grocery stores place "old" produce in boxes on the floor to make room for the fresher stuff and swears by what she gets there. The last tip I have: I spent about two months really studying the prices at my local markets and figured out which ones *always* have the lowest prices overall, and the best coupon deals (true doubling, etc.). Now I just read those two circulars and figure out which one has the best deals for my family for that week. So, if one has strawberries buy 1/get 1 and a good deal on cereal--that's where I go that week. And if I need herbs that I know are cheaper at the other place...I try to wait to the next week for that. Thanks for the tips and the reassurance that I'm doing the "right" things to keep our grocery prices down! Great post! I agree that couponing can take over. Gotta use common sense. I live in Rochester NY and the generic brands at our super-store, Wegmans, are often cheaper than name brand with coupons. Also, Aldis has great buys. If you have an Aldis, give it a try! A wonderful website where you can get tips on how to make your own cleaning products for almost no cost is groceryshrink.com . Those signing up for her newsletter get a host of "cleaning product recipes" for free! Oh gals you make me giddy with all these new ideas! It's all about sharing what we've learned and helping one another simplify, looove it! Sinea- I can't wait to check out that site, thanks! I was spending way too much time trying to organize coupons. I was getting very frustrated trying to keep up with it. I could have better spent my time doing other things like reading, Bible study or helping others. If I did not work out side the home, couponing would be doable, but I really don't have much free time. I do like the idea of checking with your stores to see when they mark down meat. This would save a bundle. Great ideas to save on food shopping!